Meet Chelsea from Sydney, with a messy, edgy “wet look” and contrasting color aimed at enhancing the texture of her haircut. Truly an 80's inspiration for 2014 in Brooklyn. She always had her hair long, but had enough of having her hair in pony tail. 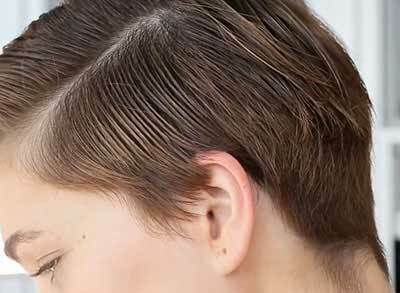 One day, she decided to shave it all off and then started to grow it into a pixie. She done a lot of modelling since then, and now, after two years, she is ready for a more edgy look. I always wanted to visit Brooklyn. One of the most popular boroughs in New York with more than 350 years of history and dozens of distinct cultural backgrounds and neighbourhoods, no wonder why Chelsea and Cutler salon chose this unique spot for fashion inspiration and photo shoot. 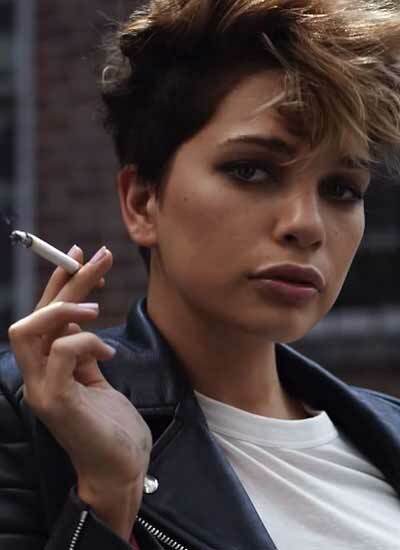 Cutler stylist Ryan Mitchell and colorist Elena Tavarez give Australian model Chelsea a versatile new look in messy style with bangs for her Brooklyn-inspired shoot.